Specification: 100% TESTED 100% WORK AND PASS THE NOISE TEST. 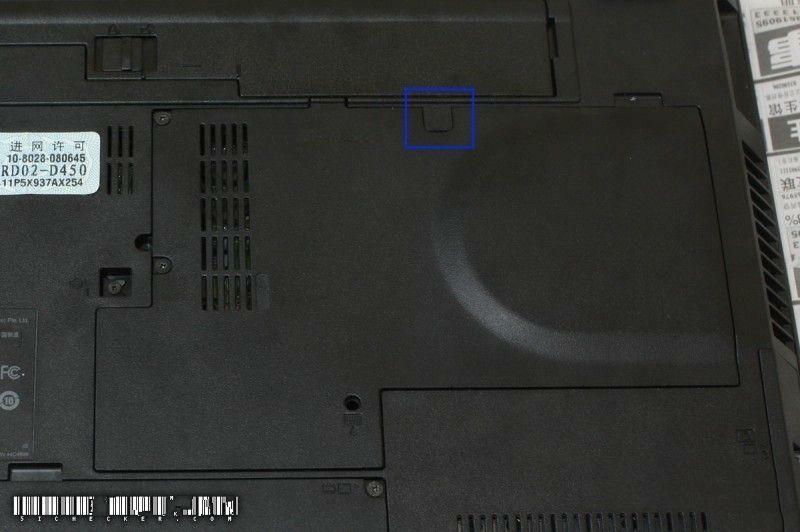 In this guide, the acutal laptop is Lenovo Thinkpad SL400. 1. 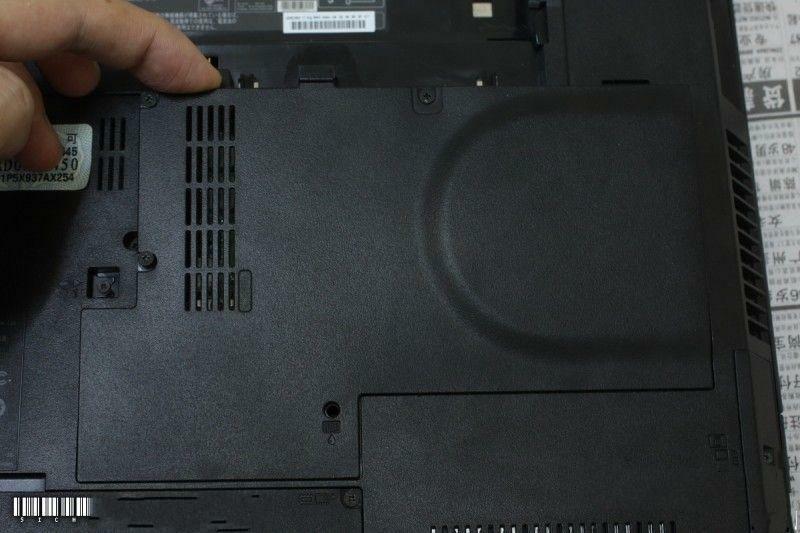 Please shut down your Thinkpad SL400. Disconnect the AC adapter and remove the battery. Turn the upside down, find the position shown by blue grid in the pic1. 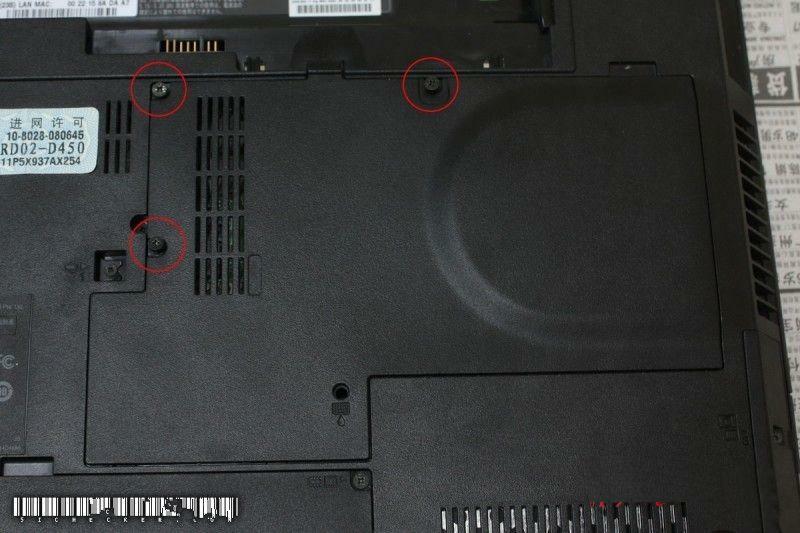 Remove the screw cover. 2. Loosen three screws in red circle, but don't remove them. 3. Lift the thermal door from the top side then remove it. 4. Now, you can access the Thinkpad SL400 fan assembly. 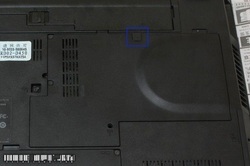 Unplug the fan connector shown by green grid. 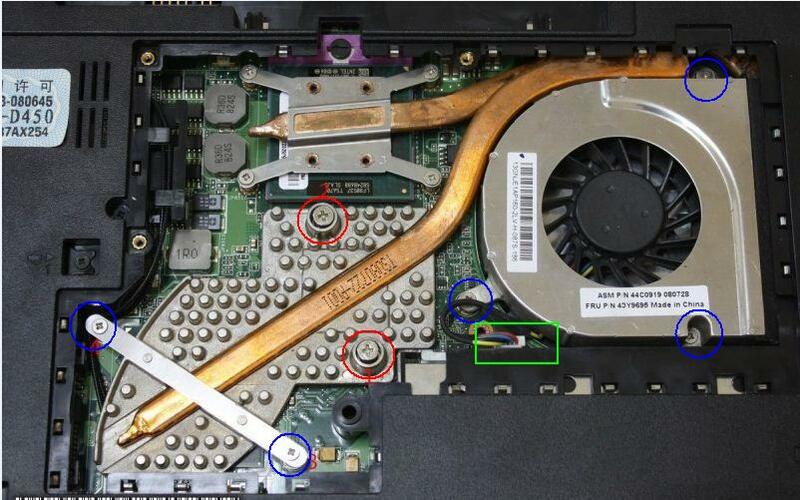 Then loosen the two screws in the red circles, please don't remove them. Afterwards, remove the left two screws and the right three screws in blue circles..
5. 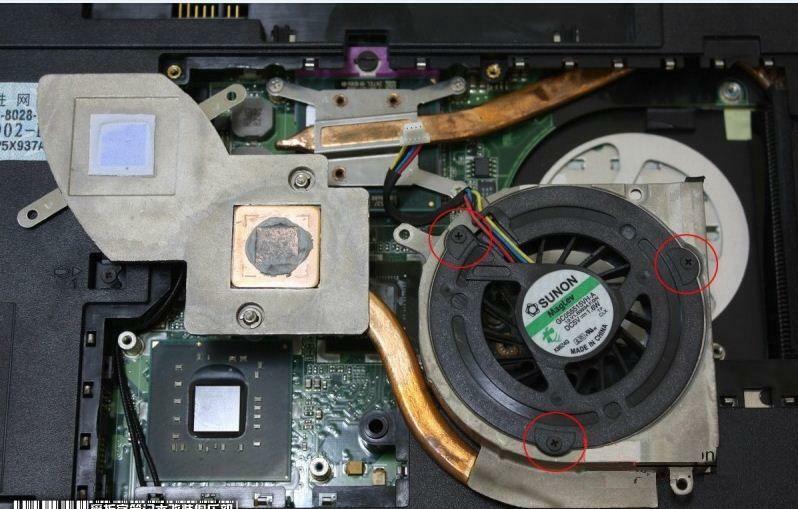 Lift the heatsink from the left side and remove the Thinkpad SL400 fan assembly. 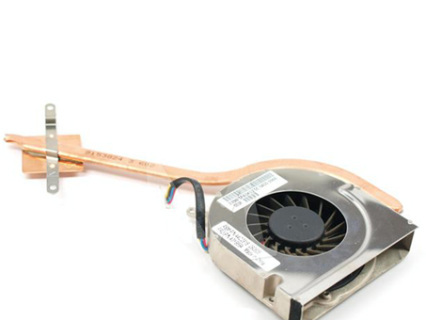 If you want to replace the whole fan assembly, now you can install the new one. Don't forget to add the new thermal grease. 6. 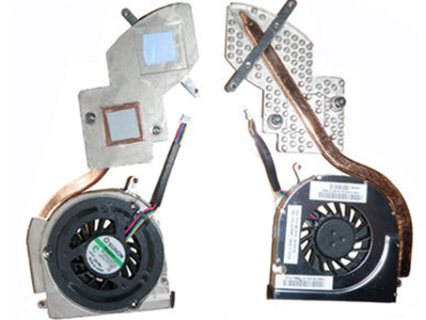 Normally, you don't need to replace the heatsink, if you want to replace the fan only, turn over the fan assembly, remove the three screws securing the fan to the heatsink. 7. Now, you can take out the Thinkpad SL400 fan. 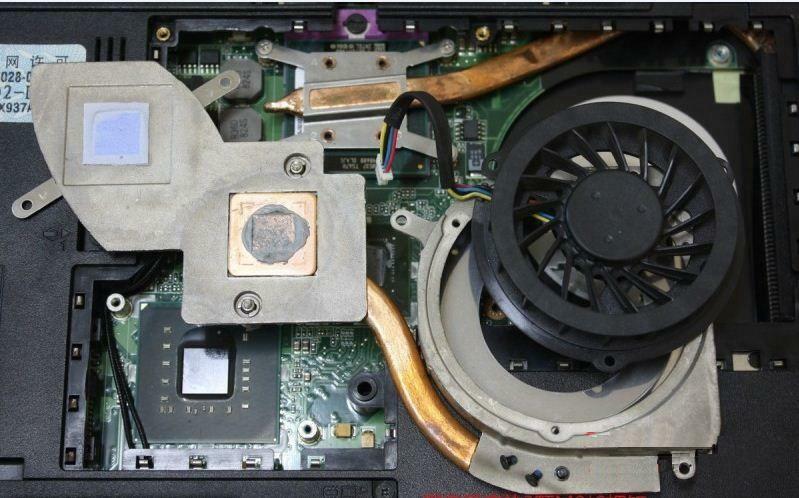 Notice: In this guide, it is a discrete graphics card laptop. 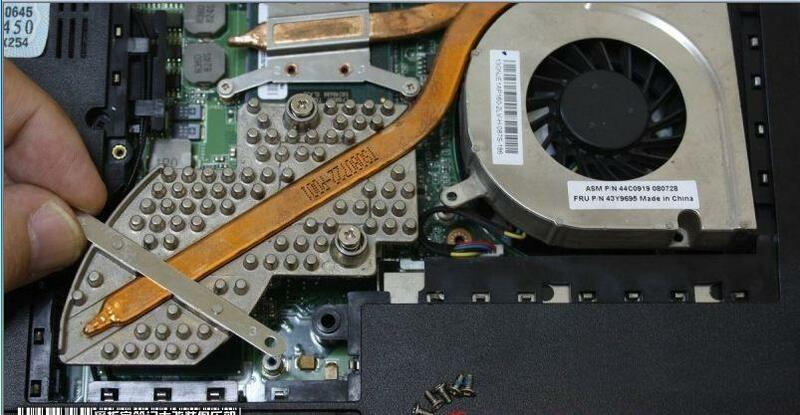 If the integrated graphics card laptop, the fan assembly is different. 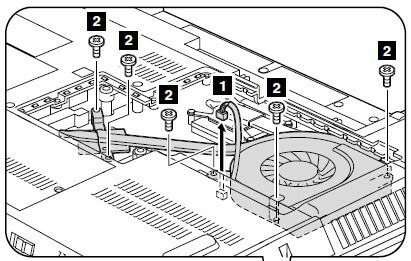 There is no graphics card heatsink, so you need to remove five screws only shown in pic 8. 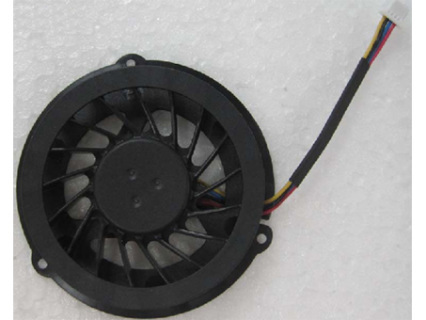 You can find the new Lenovo / IBM Thinkpad SL400 fan here.